Best Apps for Rooted Android: Rooting your Android devices is a way to benefit from elevated administrator privileges. But many users aren’t sure of how to make use of their rooted device. There are various best apps for rooted Android devices that let you utilize the privileges of a rooted device and allow you to enjoy full use of the Android system. Here are some 10 must have best apps for rooted Android which you must try using for your Android phone. • Access and request logs: SuperSU lets you allow or deny access to applications that are trying to access your system. • Auto-allow system apps: You can select the option of auto-allow system apps so that SuperSU automatically allows system apps to do the needful without asking you for permissions again and again. • Un-root options: It provides you both un-root options – temporary un-root and complete un-root. • Convert to system apps: It allows you to convert apps to system apps. • Themes: You can select a theme of your choice from the 4 available options. SuperSU by Chainfire is the total access management tool for all rooted Android devices. It allows for advanced management of root access rights for all the apps on your device. This access management tool runs through a so called ‘SUbinary’, which means if you install SuperSU, your previous root access management solution will no longer operate. System App Remover is the most popular and one from the best apps for rooted Android devices. You often root your Android phone so as to trim out all the pre-installed bloatware on your phone, and this System App Remover can help you with this. • Remove pre-installed bloatware from your system: This app makes short work of bloatware and provides helpful suggestions about which apps can be safely removed and which ones would affect your system’s functionality. • Move apps to SD card: You can use the System App Remover, which belongs to the best apps for rooted Android, to move your apps to the SD card. • Easy to use: There are many feature-packed tools for detailed app management and backup in the market, but this one app is best known for its focus and ease of use. This suggests that this app is extremely easy to use. • Safe: This app is safe to use and has been tested on hundreds of devices. The System App Remover by Jumobile comes with a range of impressive features, which is why we have included it in this list of the top 10 best apps for rooted Android. The Device Control app by Alexander Martinz is an open-source app for rooted device. It is one of the best apps for rooted Android for system tweaking and device monitoring. It lets you control a variety of features of your device along with getting to utilize some nice extra features. • Control your rooted device’s parameters: It allows you to control your processor’s frequency, entropy level, screen colors, input voltages, etc. • Extra tools to use: With the Device Control app you get to use some nice special tools like a tasker that allows automatic strimming and screen off, editors, quick tweaks, wireless file manager, app manager to view information about your apps, vibration strength, etc. • Automatic restore of your settings on boot: You will have to check the sections you need to be restored in preferences. Device Control is a 100% ad free app which will never ask you to pay or donate money for any of its features. Note that any improper use of this app can make your system unstable so ensure that you have knowledge of each of its features. Try out this app to make the most out of all features supported by your Android device. Greenify is a perfect blend of a battery saver and a performance booster app, which makes it one of the essential and best apps for rooted Android devices. It lets you identify apps the misbehaving apps and put them to hibernation for enhancing the performance of your device. • Saves power and improves performance: The Greenify app hibernate applications that consume more system resources, including system apps and thereby, it makes your device run faster and smoother. It is known for greatly boosting up your device’s performance. • Information about running apps: Greenify tells you about your running apps, the ones which are running, the ones which have been run, how frequently does each app run and how many times does each app wake up your device. With this information, you can easily hibernate the apps to prevent them from running in the background and draining your battery. • Prevent Facebook from waking up your phone: It will be interesting to know it is the only available application that prevents your smartphone from alerting you with Facebook notifications more than 700+ times a day. This app by Oasis Feng was introduced as Lifehacker’s Top 1 Utility best Android apps in 2013. With this one from the best apps for rooted Android your Android phone or tablet will never run slow or become hungrier for battery charging. It will run as smoothly and lastingly as it did when you first bought it. • Freeze apps: It allows you to leave some apps (including both protected apps and system apps) installed but still prevent them from running ever. You can do the same with your external data on SD card and market links. • Backup and restore data: This app allows you to backup your apps, app data and user data and restore it at any time, even at time of upgrading your ROM or installing a new custom ROM or when the app is running. You can also schedule your backups. • Move apps: It lets you move any of your apps to and from your SD card. This one from the wonderful best apps for rooted Android by Titanium Track is a super useful data backup tool. Make sure you have rooted Android phone with version 1.5-6.0+ (ARM, x86, MIPS) for the Titanium Backup app to run correctly. Root Call Blocker Pro is another powerful one from the best apps for rooted Android which allows users to silently block calls, SMS and MMS on your root enabled Android devices. This app by Fahrbot runs silently in the background and is capable of filtering out unknown, withheld and private numbers along with the entire area or country codes. • Block calls, SMS and MMS silently at a system level and stop spammers from troubling you. Your phone wouldn’t ring nor will your screen turn on since this app does its work silently. The best part about the Root Call Blocker Pro app is that it just runs in the background and thus allows you some quiet and serene time. This feature makes it worth mentioning in this list of the top 10 best apps for rooted Android device. Developed by Spectrl, the Rec (Screen Recorder) app is another app from the best apps for rooted Android devices that allows you to easily capture your Android screen by recording a video and audio stream of your Android smartphone or tablet without being tied to the computer or working with the command line interface. You can record whatever is on your device’s screen. • Record a video and audio stream of your Android device and there is no need to be tied to your computer or to work with the command line interface while recording. This amazing screen recording app is a free app for rooted devices that runs perfectly on rooted Android devices with Android version 4.4 Kit Kat. It can also run seamlessly on Android 5.0 Lollipop, even with root. 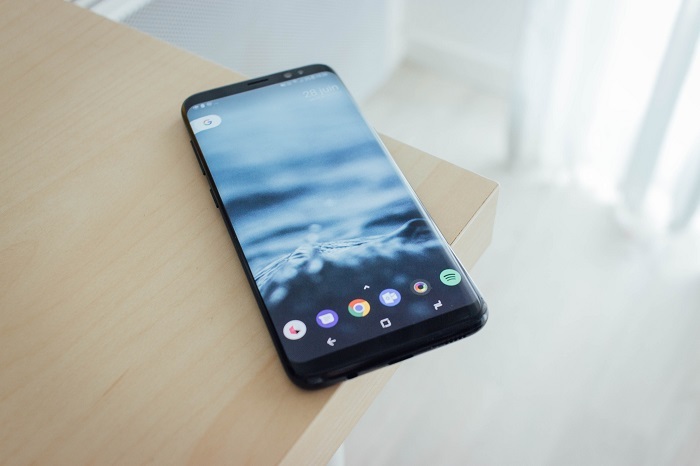 This beautiful screen recording app is indeed one of the best apps for rooted Android since it provides fully configurable screen recording capabilities for your Android device. As the name suggests, the Adblock Browser for Android app is the must have and the best apps for rooted Android devices to get rid of all the irritating ads that pop up on websites. An ad blocker app is the first thing that you should look out for after you root your phone. This app has been developed by Eyeo GmbH and is packed with a lot of wonderful features. • Fast efficient browsing: Because of the built-in ad blocker, it lets pages load faster and saves your battery and data. • Safe and private: It saves you from all the malware and tracking that remains hidden behind such pop up ads by reducing the risk of any malware infection. It thereby enhances your privacy as well. • Gives you control: This ad blocker app, being one of the best apps for rooted Android, gives you all the control. All ads can be disabled by changing default setting, malware can be disabled and it lets you support ads on your favorite website. Downloaded over 400 million times, this is the original and best ad blocker app for Android which works best for people who doesn’t mind about the financial well-being of their favorite tech sites. This app has been created and powered by Adblock Plus, which is the most popular ad blocker for desktop browsers. Get this best ad blocker app from Google Play Store and say goodbye to all annoying ads. Everyone loves to get a good battery for their Android phones. And especially when you root your Android phone you want an above-average performance with less battery consumption. And the Better Battery Stats app is one such app that offers a much more detailed and informative breakdown of what’s using your battery. With this application on your rooted Android device, you’ll never have to run after charging points or worry about your phone’s draining battery. Although Android Marshmallow does give you information about what is consuming your phone’s battery but if you want to update it more and get more detailed information on this then, this best apps for rooted Android by Sven Knispel is the next best thing for you and your phone. And the good thing is that it is an open source. Data Sync is one of those must-have apps that help you make the best out of your rooted Android device. It is only with the help of data sync applications like the Data Sync app that you can sync all your devices together and pick up your task or chat from the same point where you had left it, even when you switch your Android devices. • It works via your local Wi-Fi network but it also lets you sync to the clouds and to sync your apps even when your WiFi network is out of range. • Bluetooth and NFC support: You can also sync using Bluetooth and NFC so as to decrease the gap between your Android devices. • Fast and efficient two-way syncing: Data Sync app syncs individual files instead of entire backups. Therefore, it makes syncing faster and more efficient. This Data Sync app by Quint Stoffers is the best apps for rooted Android, which lets you sync your devices together. This means if you were reading an e-book during your train journey on your Android phone then, you can start reading that book from the same point where you left reading it, even when you pick up your Android tablet after getting home. These are the top 10 best apps for rooted Android, which you must get for your rooted Android device and utilize them to enjoy all possible features of your Android device. We have covered almost all types of best apps for rooted Android from backup app to data sync app, screen recording app, device control app and more.